It’s been a busy year for us; lots of travel, rich with experiences. 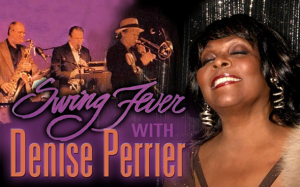 Swing Fever and Denise Perrier did a long tour mid-March to mid-April in Arizona, New Mexico and even a date in Colorado – 21 performances in 26 days. In July we flew to Texas to be a part of one of the largest outdoor concert series; “Music under the Stars” in El Paso, where we played for about 12,000 people. We performed for many outdoor concerts around the Bay Area this summer and of course we still love playing at weddings and other private events. A new CD was produced for sale to tour and local fans. Coming up is the RRAZ Room and an elegant big band night at the soon-to-be reopened George’s Night Club. Thank you for helping us keep “relentlessly swinging”. Since 1978 Swing Fever has been the choice band for sophisticated weddings, corporate events and parties in San Francisco and throughout Northern California. Flexible in size… The band can perform ceremonial music for weddings, background music for corporate events, and then build the band for dancing. Planners value our attention to detail. We help design the music so your weddings and corporate events run smoothly. Browse our web site for music list, band configuration, reviews, and performance calendar. Swing Fever…San Francisco swing jazz band with classic big band sound, available in Northern California for weddings, corporate events, parties. The music is our passion. Witty and romantic tunes from the 1930s and ‘40s have inspired Swing Fever since 1978, and we can’t seem to get enough. We stopped keeping track of our song list after 1000 tunes. We learned from the originators of the music, which is why our performances have an authenticity that fans expect and critics appreciate. And then there’s our fine vocalist, Denise Perrier, read more about her on the Players page. Swing Fever has been performing jazz of the 1930’s and 40’s since 1978. The band has toured and recorded with renowned musicians, including Count Basie – Duke Ellington trumpeter Clark Terry, clarinetist Buddy DeFranco and vibraphonist Terry Gibbs. Swing Fever has released three CDs, two of them with Duke Ellington – Count Basie trumpeter Clark Terry, growing out of several tours together and an appearance at the Monterey Jazz Festival. A fourth CD, from live tour performances with Buddy DeFranco and Terry Gibbs will appear this Fall. Swing Fever is dedicated to the music of the Swing Era, playing it as critic Phil Elwood said, “as though the numbers are on today’s Hit Parade.” The band treats Swing Era music as a living breathing form, to which the players bring fresh excitement, new arrangements and unusual instrumentation. Clever, fun, romantic, moody, witty – here is wonderful, classic music presented in its full emotional range. Created and nurtured in the San Francisco Bay Area, Swing Fever has always persisted, somewhat against the grain. In its own piano-less Swing style, well garnished with vocals, devoted to classic Gershwin and Ellington on the one hand and jive on the other. Swing Fever has played the Monterey Jazz Festival twice, also the San Francisco, San Jose, Sacramento and Los Angeles Classic Jazz Festivals. In 1990, Swing Fever was honored by the California Arts Council with an appointment to its touring roster. It has remained on that roster since then and played more than 400 concerts in California. The band has played two recent concert tours in Alaska, and is a long time member of Western Arts Alliance. Rhythmic, romantic, torrid and witty…this is Swing Fever’s music and they’re crazy for it. Watch out, you may catch Swing Fever too. An active jazz band since 1978. “Don’t miss Swing Fever the next time you see them on any schedule….. Swing Fever…San Francisco swing jazz band with classic big band sound available in Northern California for weddings, corporate events, parties. He gardens an acre of land at his San Rafael home. Gould’s pride is a line of pear trees with adjoining branches that he trained to be a natural fence bordering grass and a walkway. The 68-year-old band leader, who also sings, was first drawn to Dixieland music in his 20s before making the “easy transition” to swing. Swing Fever keeps the music alive with a repertoire of at least 1,700 songs, Gould says, adding he knows the lyrics to about 1,400. The band draws from Duke Ellington, Count Basie, Ella Fitzgerald, George Gershwin, Irving Berlin and Benny Goodman to name a few. That is quite a feat for a band that plays about 200 events a year. Swing Fever has played more than 1,500 weddings and about 500 concerts mostly around the state since it formed in 1978 and, Since 1990 Swing Fever has played every Tuesday night at the beloved Panama Hotel in San Rafael. Hotel owner Dan Miller says the band’s jazzy style fits the vibe in his dining room. “Bryan has a real personal affection for the style of music and is a music historian,” Miller says. “When he plays, he sings and he talks about the history of the music plays.”Miller has noticed customers returning to hear music of the past. A small combo band like Swing Fever typically has piano, bass, drums, saxophone and trumpet. Instead, Swing Fever swaps out piano and trumpet in favor of guitar and trombone. The vocalist is often Denise Perrier. Gould was born in San Francisco and raised in an old farmhouse on Twin Peaks. 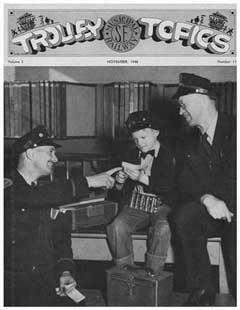 His father, Barney, was a playwright, actor and public relations man who at one point worked as a sports reporter for the Chronicle during World War II. His mother, Elise, was the office supervisor for the Republican County Central Committee for 30 years. Gould’s family and the family of his current wife, Laurie Oman, were neighbors on Twin Peaks. The two were childhood friends but had not dated while growing up. They both went on to marry other people before “rediscovering” each other 21 years ago. “They have been married since 1990 and have four grandchildren born between 2000 and 2006. As a boy, he wanted to be a bus driver. After attending Lowell High School, Gould spent three years, until he was 21, in the newspaper business as a copyboy with the San Francisco News. He wrote a sports column on skiing and was often sent on news assignments. He was arrested while covering a break from San Quentin State Prison. He looked for adventure hopping freight trains and spent six days riding a two-man raft through Hell’s Canyon on the Snake River in Idaho. “That was a defining experience, a manhood ritual for me,” he says. Every summer for six years, Gould took off hitchhiking all over the country, kind of like he did as a boy on city buses. The excursions were among his earliest musical influence, he says. Gould says he started playing trombone late, at age 19. He studied for five years with Johnny Klock, bass trombonist with the San Francisco Symphony. “My reading of music is very limited so most of what I know is by ear,” he says. He graduated from San Francisco State University in 1965 with a bachelor’s degree in creative writing and was 26 when he married first wife, Eleanor Hjelvik. They lived in the Mission District. Around the same time, Gould took a job as a counselor at San Francisco Juvenile Hall where he worked for six years. The couple had a daughter, Leslie Gould. In 1969 he moved to San Rafael and went to work as a counselor and juvenile probation officer with the Marin County Probation Department and helped run a residential treatment facility for teenagers. Larkspur resident Rosalie Laird met Gould in 1970 while working as a teacher at juvenile hall. That is where she first heard Gould play the trombone. “Several counselors would jam together at lunchtime, and the kids would dance or sing or just listen, she says. He started Swing Fever in 1978 and five years later he left the probation job that he had held for 14 years. More than solid in fact, with Swing Fever going on to play, tour, record since 1978. The band’s first steady gig was at the former Andalou restaurant in San Rafael, performing at Sunday brunch for six years with about 70 shows broadcast on radio station KTIM. The band has performed at four of San Francisco’s big bashes, the Black and White Ball in the 1980s and 1990s; at former San Francisco Mayor Willie Brown’s inauguration; at jazz festivals from Monterey to San Juan Island; and at several parties for Chronicle columnist Herb Caen. “He got to know the band and he liked the style,” Gould says. Through the California Arts Council Touring Program, a program which no longer exists, Swing Fever booked tours across California and two in Alaska, performing about 400 concerts over 13 years. The band recorded three CDs, all music of the swing era. Noted trumpeter Clark Terry played on two of the CDs. A fourth will be released in September of live recordings from Swing Fever shows at venues including Freight and Salvage in Berkeley and Kimball’s East in Emeryville. The album includes performers Terry, clarinetist Buddy DeFranco, vibraphonist Terry Gibbs and vocalist Jackie Ryan of Mill Valley. A related booking business (band-booking.com), run from home, was born. Employee Paula Helene primarily books Swing Fever, but the business offers a roster of about 20 bands, soloists and duets who play a variety of music from swing to Latin to rock. The company brings insight for customers with employees who have background in the music industry. Gould wants to spend time in his garden of roses and neatly lined vegetables – successions of lettuce, peas, beets, squash, asparagus. The orchard of 25 trees has peaches, apples, oranges, lemons. Ten pear trees form a fence since Gould took up espalier, the horticultural technique of training trees through pruning and grafting to create patterns with branches. Then he takes to the trombone to play the classical jazz he loves. Carla Bova can be reached at cbova@marinij.com.